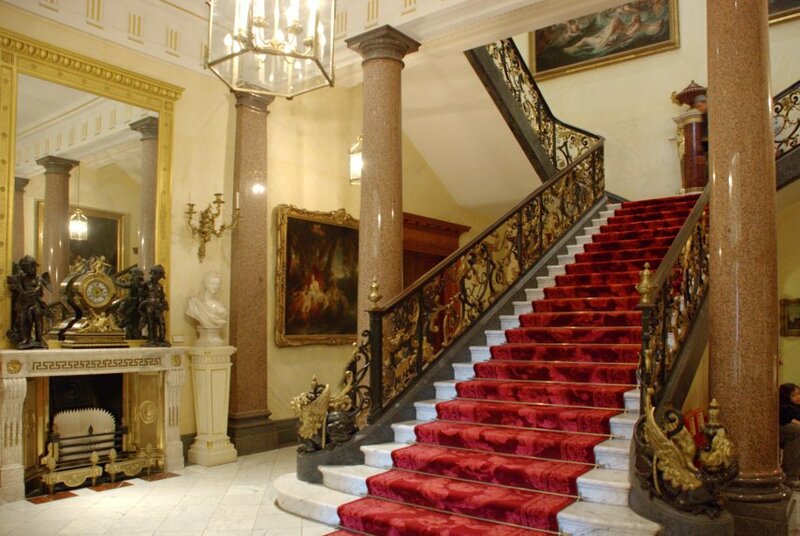 The Wallace Collection is a National Museum and perhaps one of London’s best kept secrets. Discretely situated off London’s busy Oxford Street, Hertford House is home to an unsurpassed display of French 18th-century art, furniture and porcelain. Amassed over the 18th and 19th centuries by the first four Marquises of Hertford and Sir Richard Wallace; the collection was bequeathed to the nation by Sir Richard’s widow in 1897. The collection is unique in that under the terms of the bequeathment, it cannot be loaned or added to which means that the priceless works of art can only ever been seen here. The glamorous galleries and the contrasting contemporary glazed Courtyard make Hertford House the perfect venue for corporate entertaining, exclusive private parties and unique wedding receptions. 25 galleries display outstanding works of art in a sumptuous but approachable manner which is an essential part of its charm and provide a glamorous and elegant backdrop for events of all kinds. Perhaps the most famous guest of the Great Gallery is the famous painting of The Laughing Cavalier by Frans Hals who keeps a watchful eye over processing. Intimate dinners for 20 can be offered in smaller galleries and drinks receptions for up to 300 guests regularly grace the larger spaces. The glazed courtyard is flooded with light by day and with night-time lighting becomes an enchanting space for parties and dinners. This courtyard is both a flexible and beautiful venue for weddings with dancing and parties for up to 140 people. To discuss this venue or any related event enquiries, call our team on: 020 7326 3800 or email on: parties@admirable-crichton.co.uk.